Flexible gear ring set, for all cylindrical focus barrels with an outside diameter between 40mm and 100mm. Tooth size M0,8. 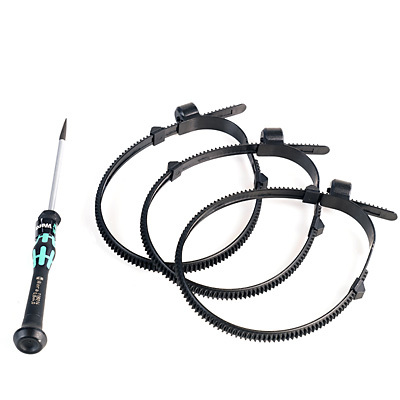 This set consists of 3 flexible gear rings and 1 screwdriver.